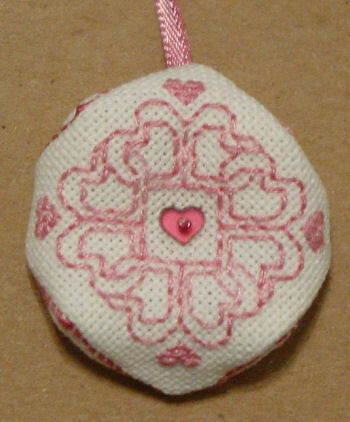 I came up with my first design in September 2006, a simple Celtic knot for a finished-item exchange. Less than a month later, the familiar longing for the seasonal changes that I miss living in the subtropics spurred me to design an autumn-themed piece. After that, the design ideas started flowing, and I decided it was time to put a name to this new facet of my life, and Tor Rhuann Designs was born. Perhaps someday I may design larger pieces, but at the moment, all of my designs are relatively small, and free to download and distribute. I hope that you enjoy them. If you have stitched one of my designs and wish to be recognized in the gallery, please drop me an email! I always love to see how others envision my doodlings! Ricardus 40x40 A stylized white boar, emblem of Richard III of England, with a border of white roses and Richard's motto. Released 22 August 2007. Assisi Summer bookmark 35x92 An Assisi-style bookmark with seashell motifs and stylized wave border. Released June 2007. 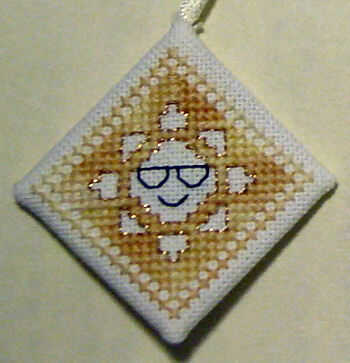 Sunshine on my Scissors 33x33 An Assisi-style sun, designed to be a scissor fob or ornament. Released June 2007. Getting Squared Away 14x14 to 18x18 Four square blackwork-style designs. Released June 2007. Assisi Spring 35x92 An Assisi-style bookmark featuring spring flowers and a stylized violet border. Released March 2007. 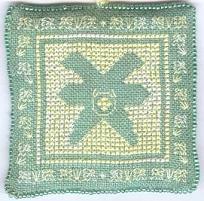 33x33 An Assisi-style shamrock with knotwork border, one of two in "Celtic Mission to Assisi". Released February 2007. Model by Shannon L. 37x37 An Assisi-style daffodil with stylized daffodil border, one of two in "Celtic Mission to Assisi". Released February 2007. Assisi Autumn 36x92 An Assisi-style bookmark featuring Autumn leaves. Released September 2006. Assisi Winter 35x92 An Assisi-style bookmark featuring snowflakes. Released November 2006. 2006 Ornament 53x53 An Assisi-style wreath with holly and beads. Released December 2006. 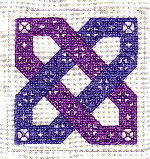 Assisi Knot 50x50 A simple Celtic knot done in Assisi style. 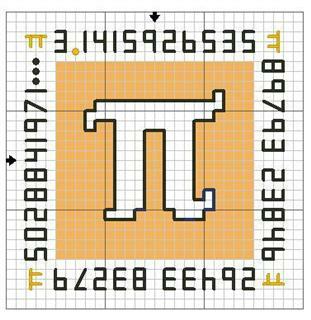 Originally designed as a biscornu. Released September 2006. Mine, finished as a biscornu.